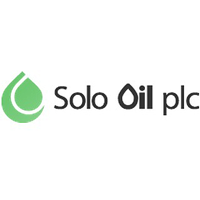 Solo Oil plc (LON: SOLO), a natural resources investment company focused on acquiring and developing a diverse global non-operated portfolio of strategic oil and gas assets, has today provided the following corporate, strategy, financial and operational update. · Strengthening and reconstitution of the Board: Alastair Ferguson, the incumbent Non-Executive Chairman, assumes the role of Executive Chairman whilst Dan Maling has stepped down from the Board and from his role as Managing Director. These changes come into effect immediately. These changes are a continuation of the Board restructuring that started in 2018, with the appointment of Jon Fitzpatrick and Tom Reynolds as Non-Executive Directors. · Management team strengthened: secondment of experienced industry personnel from Gneiss Energy to support ongoing asset management and delivery of the business strategy; Douglas Rycroft will take the role of General Manager, Operations and John Daniel will be appointed as Technical Advisor. · Driven by value realisation and shareholder returns: core focus on monetisation of existing assets, rigorous cost control, balance sheet stabilisation and, in time, expected distributions to shareholders. · Fit for purpose: The Board has undertaken a full review of all internal business systems, including joint venture management, finance and communications and has taken the appropriate actions to reduce the overall cost structure of the business. · Developing the growth story: Board, and senior management, now turning its attention to the future with the intention of building a distinctive portfolio through disciplined investment, to be delivered by smart, capital efficient transactions. · Alignment with shareholders: Board and management now hold a significant shareholding of 7.6% of issued share capital. · Financial position: company has a healthy cash position, a remaining small exposure to its UKOG shareholding and no debt, following the sale of Horse Hill and Isle of Wight assets and the repayment of the Riverfort debt facility. · Fully funded: fully funded through this year’s proposed drilling of Chikumbi-1 well in the Ruvuma PSC, onshore Tanzania. · Ruvuma monetisation options being reviewed: the Company has received a number of unsolicited indicative approaches by industry counterparties regarding its 25 per cent interest in the Ruvuma Gas Development project which the Company continues to review. · Chikumbi-1: planning underway for the Chikumbi-1 well which is an additional appraisal and potential future producing well of the Ntorya Gas Field within the Ruvuma Gas Development. o Planned well is also testing a deeper Jurassic exploration target with gross P50 prospective resources of 1,351 BCF. o No further commitments on the licence – ability to monetise new volumes quickly into existing infrastructure and under existing gas sales agreement. o The Board continue to see significant value in the Helium One project driven by strong underlying fundamentals in the global supply / demand balance. Following the successful farmout of Aminex’s interest in the Ruvuma Gas development to The Zubair Corporation (subject to government approval), the Company has received several expressions of interest from industry players interested in working with the Company to expedite the development of the Ruvuma Gas Development project including through farm-out, general strategic partnership or an outright sale of the Company’s interest. These discussions are all at an early stage and there can be no assurance that any of them will result in a transaction acceptable to the Company. In the meantime, the Company continues to engage in non-exclusive discussions with various parties on the sale or farmout of the Company’s interest and will provide further updates to shareholders if and when there are further developments. The Ruvuma Gas Development remains the core asset within the Solo portfolio and the Company views 2019 as being an important year of commercial and operational developments to progress the project towards first gas. The Company is fully funded for its share of the Chikumbi-1 well due to be drilled in 2019, subject to confirmation of the licence extension. The well will be a key test of the Ntorya Gas Field, designed to encounter the Albian aged reservoirs 120 meters up-dip of the Ntorya-2 well alongside a potential play opening test of the Late Jurassic in a deeper exploration target. The recent work published by Aminex plc (operator of the Ruvuma PSC) of their independent reserve work conducted by RPS Energy Consultants Ltd. (“RPS”) has assigned the Albian aged Ntorya Gas Field a mean un-risked GIIP of 1.87 TCF (468 BCF net to Solo), with total combined gross 2C Resources of 763 BCF (191 BCF net to Solo), and has additionally assigned 936 BCF (234 BCF net to Solo) of 2U Resources (previously equivalent to “Best Estimate” Prospective Resource) to the Jurassic aged Chikumbi prospect. With its existing gas infrastructure and growing market demand for gas, the Ruvuma Gas Development can play a critical role in the supply of the domestic market in Tanzania. The Company regards the investment by the government in the critical gas infrastructure of pipelines and processing facilities as a huge value add to the project. The Aminex / Zubair farmout has provided strong third-party technical validation of the quality of the project and a well-funded partnership to drive the progress of the development. The Joint Venture continues to progress a phase 1 development targeting an early gas production / commercialisation development allowing for accelerated cash flow to the partnership and providing much needed gas into the Tanzania domestic market. This will provide the foundation of a full field development currently scoped to provide 140 MMSCFD. The Joint Venture is confident of the underlying market requirements to subsume this volume. The Aminex / Zubair farmout demonstrates the commercial validity and the operational viability of the Ruvuma project as a key domestic gas project in East Africa. 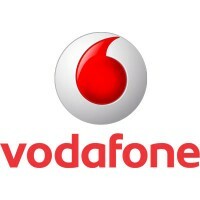 The Board has undertaken a full review of the management and corporate governance requirements of the Company and effected a number of changes to ensure the Company has the appropriate governance structures and has access to the required management skills to deliver on the above priorities. The Board announces that Dan Maling has stepped down from the Board. Alastair Ferguson, currently in role as Non-Executive Chairman since his appointment at the AGM in August 2018 will assume the role of Executive Chairman with immediate effect. The decision to appoint new executive leadership reflects the Company’s ongoing move to rebalance its portfolio towards producing and cash flow generating assets, which will support investment opportunities to develop a balanced and sustainable business model focused on reserve additions and development upside. In restructuring the management of the Company, Alastair has appointed John Daniel as Technical Advisor and Douglas Rycroft as General Manager, Operations to provide the appropriate industry level experience to drive value in our existing assets and support in the Company’s next stage of growth. Both John and Douglas join the companies as secondees from Gneiss Energy providing the company with the appropriate level of industry specific knowledge and allowing the company maximum flexibility to manage its G&A expenditure in an effective manner. John Daniel, Technical Advisor, is a geologist with 35 years’ experience in the oil and gas sector holding senior management and technical roles with Sun Oil, Conoco, Monument Oil & Gas, Lasmo and Sasol Petroleum. Most recently John held of the role of Technical Director at Kerogen Capital, the private equity firm specialising in upstream oil and gas investments. During his tenure at Kerogen, John represented the investment company on the Board of Zennor Petroleum and Pandion Energy. Before his role with Kerogen, John was Regional New Ventures Manager at Sasol Petroleum, with responsibility for Africa, Middle East and Central Asia. Prior to this he held roles as Exploration and New Ventures Manager for MND Exploration & Production’s international portfolio, Business Development Manager, Europe and Africa for Marathon Oil, and held various senior roles at Lasmo, Monument Oil & Gas, Ranger Oil, Conoco and Sun Oil. Douglas Rycroft, General Manager, Operations, has over 12 years of experience in the upstream oil and gas sector specialising in the commercial and operational delivery of projects. He has worked internationally in the US, Latin America, Africa and South East Asia. Douglas held the role of Asset General Manager, Tanzania for Ophir Energy plc from 2012 – 2015. During his time leading Ophir’s flagship asset, the company drilled three operated and nine non-operated wells in Tanzania, co-founded the Tanzanian LNG Operating Company (with BG (now Shell), Statoil (now Equinor) and ExxonMobil) and divested half of the company’s Tanzania position to Pavilion Energy (the Temasek backed LNG-focused vehicle) for US$1.3 billion. Mr Daniel and Mr Rycroft will report to the Executive Chairman on a day-to-day basis, running the technical and operational oversight of the company. This will include the management of external consultants providing support in the finance, legal and commercial advisory functions. In conjunction with these changes, accountants Anderson Anderson Brown have been appointed to lead the Finance & Control function, further refine processes and systems to account for the Company’s expected growth and provide broad based finance and tax advice. The Board has been completely overhauled throughout 2018, strengthening and adding the appropriate blend of operational and financial skills to drive value for shareholders through the monetisation phase of the existing asset base and execution of the growth strategy. In the near-term Solo will operate with a three-member Board, consisting of an Executive Chairman and two Non-Executive Directors, one of whom is independent. In the Board’s opinion, this delivers the correct balance of skills and experience for an investment company of Solo’s current size and scale however, at the appropriate stage in the future and in parallel with the execution of the growth strategy, the Board intends to add a further Independent Non-Executive Director with appropriate industry knowledge and experience. This will fill a fourth role in line with corporate governance guidelines and industry best practice. Alastair Ferguson, Executive Chairman, joined August 2018, with over 40 years’ experience in the oil and gas industry, over 33 years of that with BP plc. Alastair brings considerable technical and commercial experience together with proven leadership skills. More specifically he has commercial management skills in developing gas business opportunities. He held a variety of senior business roles in both BP and latterly at TNK BP, based in Moscow. Since leaving BP he has held various Chairmanship and non-executive director positions over the last seven years. Most recently, he was an Independent Non-Executive Director on the Board of JSC KazMunaiGaz Exploration Production and has served as Executive Chairman of Zoltav Resources Inc. and as non-executive director of JKX Oil & Gas plc. Jonathan (Jon) Fitzpatrick, Non-Executive Director, joined May 2018, is a qualified corporate lawyer and petroleum economist and has worked for over 20 years in the investment banking and energy sectors. He was Senior Managing Director and Head of Natural Resources for Europe, Middle East and Africa at Macquarie Capital. In 2016, Mr Fitzpatrick founded the Gneiss Energy advisory practice operating exclusively within the energy and resources sectors. Tom Reynolds, Independent Non-Executive Director, joined December 2018, is a Chartered Engineer with over 25 years’ experience in the energy sector, including a range of technical and commercial roles with BP plc, Total SA and British Nuclear Fuels plc. He has also held management positions at private equity investment and advisory firms, including 3i plc, and specialises in strategic planning, investment management and cross-border M&A transaction execution in the oil, gas, energy and infrastructure sectors. Tom has considerable experience in the public markets, particularly in the oil & gas sector, including holding Board seats on various companies listed in London, Oslo and Toronto. Most recently, he was CEO of Iona Energy Inc. and, immediately prior to that, he was CEO of Bridge Energy ASA, which Mr Reynolds grew through a series of acquisitions before listing the group in both Oslo and London, prior to its c.US$150m sale to HitecVision-backed Spike Exploration Holding AS in 2013, a valuation which represented a c. 50% share price premium. The Board has undertaken a concentrated, detailed review of the Company’s business systems and controls and accounting policies, including but not limited to payroll, purchasing, expenses, revenue recognition and VAT and, where appropriate, made the necessary changes to ensure that the control environment and the management of risk is effectively and appropriately managed by the Board. The review has focused on the internal functions of the Company including its operational capability, reporting, accounting and IT systems. Following the review, the Board has decided to migrate the finance system to a new online system which will be more cost effective and provide for better management reporting. Over the course of the past few months, the Company has reviewed the Audit and Compliance, Remuneration and Nominations Committees. The Board has established the corporate governance values of the Company and has overall responsibility for setting the Company’s strategic aims, defining the business plan and strategy and managing the financial and operational resources of the Company. Overall supervision, acquisition, divestment and other strategic decisions are considered and determined by the Board. The Executive team is supported by the wider team and external service providers as required. “During H2 2018 the new Board has made good progress on implementing our turnaround plan and I am satisfied that we have already made good progress on delivering on our stated objectives in terms of monetising mature investments, strengthening the balance sheet and our JV Management. We have now established an ambitious strategic vision of where we want to get to and are setting in place the foundations to achieve those objectives. Our current focus is two-pronged; maximise value from our existing portfolio, whilst simultaneously assessing opportunities that meet with our newly formed long-term growth strategy. We aim to articulate this strategy in a detailed update in the coming months to ensure our shareholders have a full insight into our proposed direction of travel.